i love wrapping gifts. 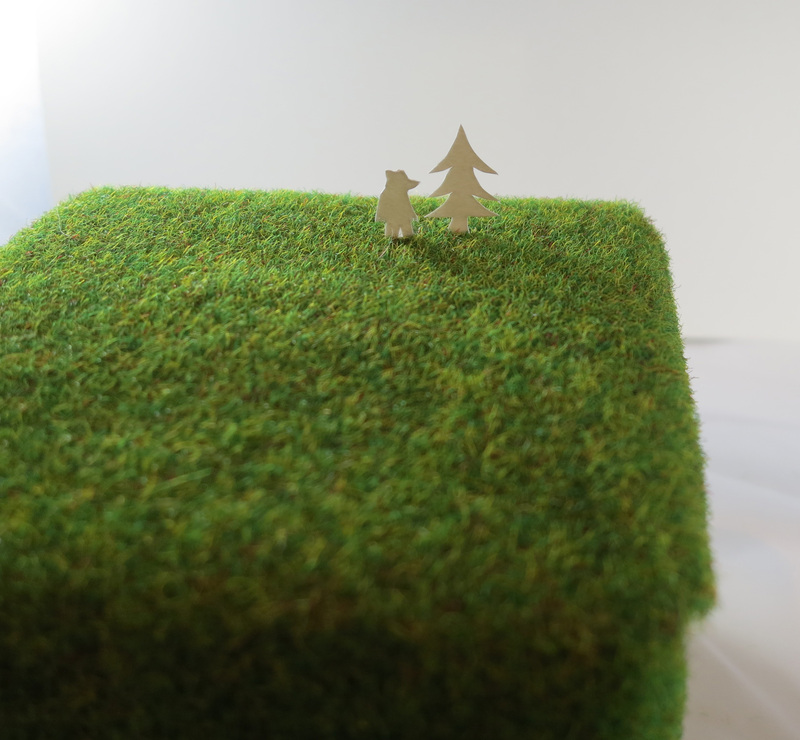 decorating things is always the best bit of any holiday or celebration. this is the present for my boyfriend. 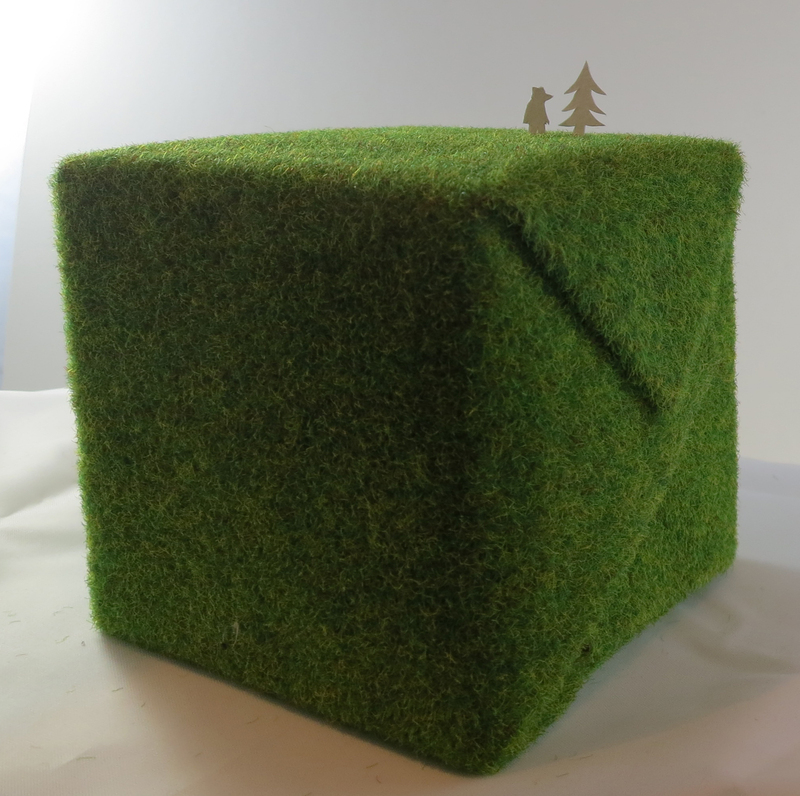 it was a handy cube shape, so i’ve wrapped it in model-making grass mat and added a paper bear and tree to the grassy top.